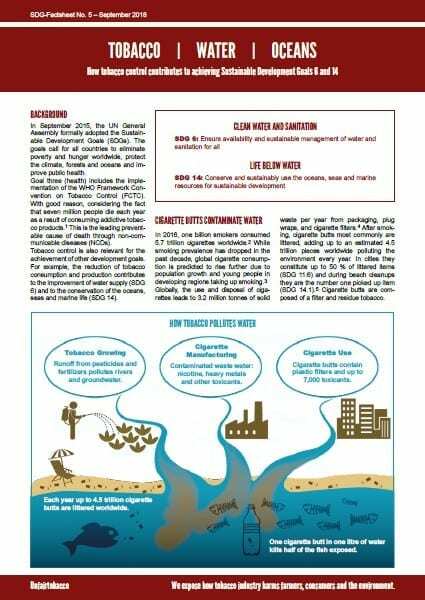 Chemicals in tobacco growing, toxic waste water from cigarette factories and nicotine leachate from cigarette butts – our new factsheet offers a quick overview of the tobacco chain’s impact on waterbodies and oceans. 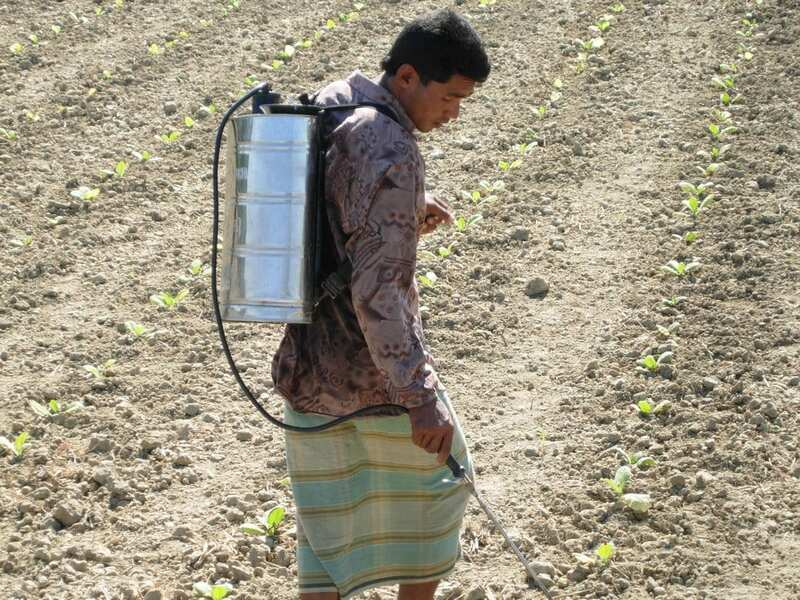 Tobacco cultivation involves the heavy use of pesticides. From seedbed to harvest, numerous chemicals are applied. Many of them are watersoluble and leach into the soil, waterbodies and groundwater. In low- and middle-income countries, where 90 percent of the global tobacco harvest is produced, pesticides like Aldicarb and Carbofuran are used – poisons that are banned in the EU. These toxicants affect the health and environment of tobacco growing communities, for example in Bangladesh. There, in the fertile floodplain of Matamuhuri river, tobacco is occupying both river banks at a length of 80 kilometers. The leached out chemicals enter into the waterbodies and harm fish populations and other water organisms. Every year, 6 trillion cigarettes are manufactured. The application of additives and processing of tobacco pulp need 60 million tons of fresh water and produce 55 million tons of waste water which contains numerous toxicants, for example ammonia, nicotine, hydrochloric acid and lead compounds. Waste from tobacco use adds to poisoning of waterbodies and oceans as well. In our new two-pages factsheet, you can read about the impact of littered cigarette butts on water and about tobacco control measures contributing to protect the environment. Order your printed copy or download the PDF for free. Along the Matamuhuri river in Bangladesh, tobacco fields stretch at a length of 80 kilometers on the river banks. Leaching pesticides and fertilizers strongly affect the fish population. What are the outcomes of COP7 for tobacco growers and the environment?